Latest UC Browser 7.9 is now out. I think you all have enjoyed reading our previous post on UC Browser, New Fastest Mobile Browser With Awesome Features – UC Browser 7.7 and We have been waiting from past few days to try the latest UC browser 7.9 version which has some cool features. 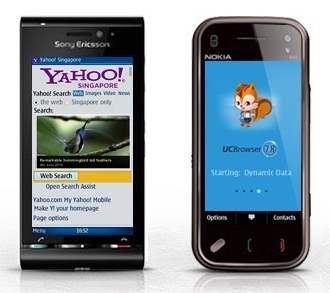 Yesterday UC browser 7.9 version was released for Symbian and java. 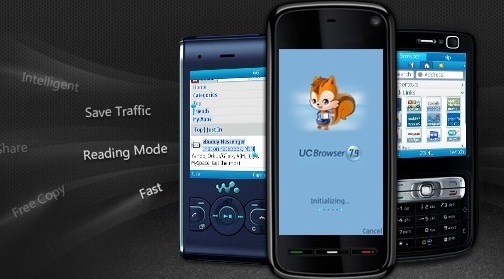 UC browser is a popular and fastest mobile browser which has over 200 million users at present. This new version has some advanced features which will benefit the non android users. To make the browsing even more faster and convenient, the UC browser team launched this 7.9 version with some enhancements and new features. The UC browser team is very much confident on the 7.9 version success. Lets get more into the details of this awesome browser. 1) Auto notification between night mode and day mode. This feature will take care of your eyes by noticing you and will automatically shift between Day mode and Night mode intelligently every time you browse. 2) The new powerful bookmark tool allows you to browse from where ever possible and whenever required. We usually miss our bookmarks in most of the browsers which we use. But with the UC Browser 7.9 you can actually bookmark your collected information on local place by downloading them and later use whenever required. With this you will never miss your most important and saved old bookmarks which you have been saving from years. Optimized Cache management where the cache will be adjusted automatically so that you don’t need to reset and clear cache manually anymore. 4) The UC browser 7.9 is now even more colorful where more pic formats are supported. The new WebP image has nearly 40% smaller images when compared to JPEG of similar quality. 5) UC Browser is available in more than 145 countries and covers almost all languages of the world. You can select your language at the initial setup of the browser installation. If you want to download the browser from official website of UC Web, then you can visit the official website ucweb.com. But we suggest you to download from here, so that you don’t get navigated to different versions of UC browser.Share this article with your friends so that even they can enjoy the cool features of latest UC browser 7.9. UC Browser is the best!!! i have a samsung b7320 looking free browsing ucwap .thank you . UC 7.9 browser for most java handsets does’nt load connection drops halfway through. Have checked settings on my phone and everything is set up the right way. If this is a fake download so that you can read peoples data your out of order. UC browser 8.3 is more better than 7.9….!!!! I’ve always liked this browser. Even when it was buggy as hell back in my Windows Mobile days it still was great for downloads. I’ll give this new version a shot.